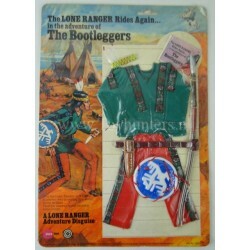 Original Lone Ranger outfit still MOC made by Marx Toys 1975. Overall still a very straight card with plastic and the complete outfit, no parts fallen of the card. I spot minimal cracks in the plastic, you can see one around the left side of the knife and possible few more. 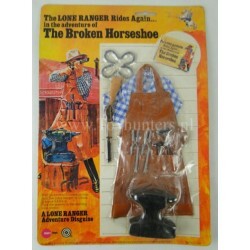 More Lone Ranger coming soon, questions or inquiries welcome. 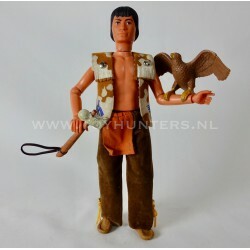 Original Lone Ranger outfit still MOC made by Marx Toys 1975. Overall still a very straight card with plastic and the complete outfit, no parts fallen of the card. I spot minimal cracks in the plastic, you can see some around the anvil and possible few more, but anvil doesn't fall. 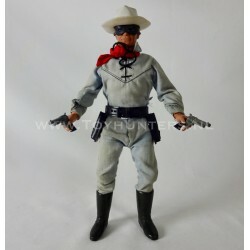 More Lone Ranger coming soon, questions or inquiries welcome. 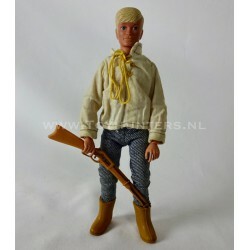 Original Lone Ranger outfit still MOC made by Marx Toys 1975. The plastic show tears around the shoes but still attached, left top corner comes a bit loose. Overall still a very straight card with the complete outfit. 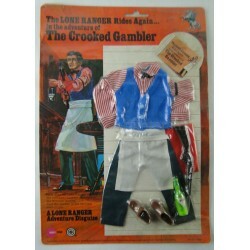 More Lone Ranger coming soon, questions or inquiries welcome. 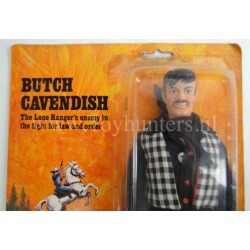 Original Butch Cavendish MOC, The Lone Ranger’s enemy in the fight for law and order! by Marx1975. Card is in very strong condition. Blister is very clear and strong but has 2 cracks under. Beautiful collectable piece in mint condition, you’ll receive exact item pictured. 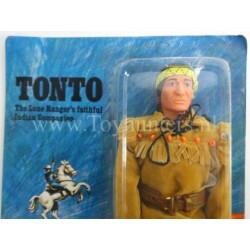 Original Tonto MOC, The Lone Ranger’s faithful Indian Companion! by Marx1975. Card is in very strong condition, unpunched. Blister is very clear and strong but shows a dent near the feet, but no cracks. Beautiful collectable piece in mint condition, you’ll receive exact item pictured.